We explain the legal duties on employers to protect the psychological wellbeing of staff and support people suffering from mental health conditions. Mental health problems – once a taboo subject – are now being openly discussed in the workplace in a much more supportive way. The statistics speak for themselves: one in six people report experiencing symptoms such as anxiety and depression at work, while ONS figures show that over 12% of reported sickness absence in the UK is attributed to mental health problems. Employers have a duty of care to protect their employees from foreseeable risks of injury, and the law does not distinguish between physical or psychological injury. However, claims of psychological injury are more difficult to deal with because there is a spectrum of responses, and an individual’s background and general resilience levels play a part. That said, the law is clear that employers must take their employees as they are – which means taking account of any existing vulnerabilities they may have. But determining what might be foreseeable can still be a real challenge. If, for example, a worker is required to experience distressing situations on a day-to-day basis as part of their job, and suffers an adverse psychological response even when they have been properly trained and receive regular support, it’s not always clear if that’s foreseeable. The nature of the work the employee is required to undertake. The frequency of the work, and whether time away from particularly distressing work was provided. Whether employees were adequately pre-screened for pre-existing vulnerabilities which might make them more susceptible to psychological injury. The training provided to ensure employees were aware of the potential risks and were working in accordance with key policies and procedures. Available support measures and how accessible they were. Review and monitoring processes, including supervisory review and opportunities for self-review. 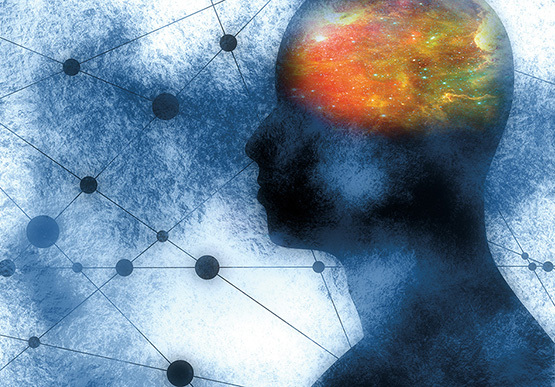 While it may be impossible to prevent exposure to a particular distressing situation, the above demonstrates reasonable measures employers can take to mitigate the impact and to promote and protect their employees’ mental wellbeing. None of them are particularly burdensome – it’s about creating an open and supportive environment. Post-Traumatic Stress Disorder: a condition which normally arises from someone experiencing, witnessing or being confronted with an event that involved actual or threatened death or serious injury to them or another person. Adjustment Disorder: a response (within 3 months) to an identifiable stressor which leads to a person displaying emotional or behavioural symptoms. The distress must be out of proportion with the expected reaction and/or the symptoms must be clinically significant – usually meaning that they must impair day-to-day functioning. Major Depressive Disorder: often classed as “depression”, this generally involves an overwhelming feeling of sadness, isolation or despair which last for two weeks or longer at a time. The above are brief descriptions for information purposes, and cannot be relied upon in any diagnostic way; referral to a medical expert will always be necessary. Employers should recognise that these and other psychological injuries vary in severity in the same way as physical injuries. Thought should be given as to how to best protect the employees from all forms of harm, not just obvious physical injury. It may seem clichéd, but if employers look after their employees, then their employees will look after the organisation. David Robinson is a professional support lawyer with Thompsons Solicitors. We explain the legal position behind so-called ‘gagging’ clauses which are now a common feature of settlement agreements in the NHS. The Civil Liability Bill will deny injury compensation to thousands of workers and cost the NHS millions – just to feed the insurance industry fat cats. We explain what you need to know about about putting in a claim to an Employment Tribunal – and when to do it. With more and more people leaving the NHS under settlement agreements, managers need to know what can and can't be said. Iain Birrell explains the rules about so-called 'protected conversations'. Here's what you need to know about the legal position on using social media at work, focusing on human rights, contract law and data protection. Here's what you need to know about your legal responsibilities as a manager when handling race discrimination complaints from staff. If work is becoming intolerable, it’s important to understand the risks and pitfalls before resigning and making a claim for constructive dismissal. New rules on patient consent mean doctors have to be more upfront with patients about risks. Here’s what managers need to know. Our legal advisers explain how to avoid allegations of bullying or harassment when managing poor performance. Our legal advisers on what you need to know about employee surveillance and social media snooping.